In 2012 Martha had a scholarship for med school, until a chance conversation with a programmer in her school library led Martha to embark on a journey into the world of the Web, and a passion and obsession for programming. Martha concluded that medical school wasn’t for her, turned into a linux pro, and has been expanding her web knowledge and skills to work towards starting her own business ever since. In Nov 2012, Martha was awarded a Treehouse International Scholarship. Since then she has been swiftly advancing through Treehouse courses and fine-tuning her web design and development skills, as well as working through business courses in preparation for a startup she's launching. Now, at 19, she has: acquired the title of 'founder and CEO' for her startup; landed a job as a Ruby on Rails developer; mentors other young coders; set up the Nairobi dev school; built up an impressive presence on GitHub; and was even featured on the Treehouse Dean's List for her dedication to learning, motivational attitude and the positive impact she has on the Treehouse community. Tell us a bit about some of the projects you're working on and how Treehouse has helped you get to where you are now. For some time now I have been trading in commodities (offline and small time), so I've decided to build an awesome site for the business, make it online and expand it. The second project I'm working on is a musician/fan app (built in Ruby on Rails). I'm into music so I want to play around with that idea. The third is my website, which for some reason seems to be the most challenging! I'm also starting a business based on the web, and that's huge to me. I am attributing this to Treehouse because it gave me the confidence and skills under my belt to start my own business. The sense of community at Treehouse and being part of it has also inspired me. I would recommend all students to maximise Treehouse for you—have fun with the community—you have a free audience to review your work, and expand your network as it’ll spice up your learning! In addition, Martha is also fulfilling a dream to spread tech education and offer the same opportunities to her peers in Nairobi, which is gaining international attention. 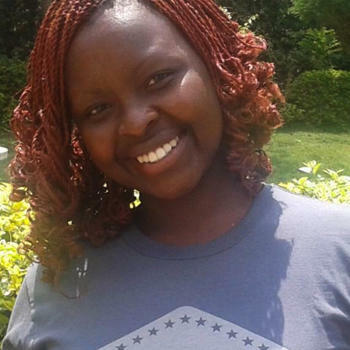 Martha says, "I am starting a dev school in Nairobi to give myself and numerous young East Africans a chance to learn, improve their programming skills, and build awesome technology for Africa". What has been valuable about your learning experience with Treehouse? I’m learning awesome skills! This I cannot over emphasize. Treehouse teaches all the web development and design skills I need at almost no cost. Google what it would cost to learn Ruby on Rails elsewhere, and you’ll know what I mean. I am already earning from the skills I’ve learned and will continue doing so. Furthermore, Treehouse teaches up-to-date technologies, so my skills will always be relevant. Take the web by the horns! I want to start a successful web-based company, I want to master Ruby and learn more languages, and my ultimate goal is to write my own language! I have grown to really love programming languages and digging into them, so look out for njerichelimo's language in the future. I also know that in trying to achieve this, I will be the code master I so badly desire to be.